A few days back, we carried a post on Facebook and Instagram’s surprisingly overpriced marriage. There’s one more announcement that been unleashed as a part of Facebook’s sudden app acquisition spree. Facebook has acquired Tagtile, a San Francisco based loyalty and customer acquisition startup founded by IITians. For the uninitiated, Tagtile allows merchants to give their shoppers rewards through coupons or loyalty points for checking in with smartphones during store visits. The entire company including its assets is being acquired for a sum that remains undisclosed. Whether this will be close to its billion dollar acquired predecessor Instagram or not, is something that only time and Mark Zuckerberg will tell. One of the main aims of this acquisition for Facebook is to capitalize on the fact that businesses can send coupons to their customers which they may print or redeem using their mobile phones directly. What is Tagtile and how does it work? An app that helps local businesses to connect with their customers to increase revenue? Is Facebook shelling out monies to acquire something that sounds so simple? Founded by two Indian IIT grads Abheek Anand and Soham Mazumdar, Tagtile offers simple solutions to connect with customers without any overheads whatsoever. Here’s how. According to Tagtile, businesses simply need to plug in their customized Tagtile Cube which is a small box, into a power outlet. The Cube has a sensor that allows users with the downloaded app to earn tags by simply tapping their phones against the Tagtile Cube. The app is currently available on iPhone and Android platforms. Through social media integration, users can receive and share loyalty points and offers from the merchant, directly through their phone. In effect, Tagtile makes it possible to get information regarding a user’s location at a particular business without having them to do a manual check-in. It is interesting to see Tagtile using sensors instead of near field communications (NFC). Tagtile’s merchant dashboard gives updated minute by minute information about stores. The Tagtile app allows the business to track customers and the frequency of their visits. Marketing material is in-built with the starter kit. Custom offers, push notifications and niche targeted information are sent directly to customers’ smartphones. No overheads are added, whether it is sales people, internet connections or staff. Tagtile links a customer’s purchase history with their identity, helping businesses to know them thoroughly. Social media integration helps businesses to gain more customers through word of mouth. Existing customers can post their experiences on social media and increase brand reputation. Google recently gave us all a glimpse of their foray into augmented virtual reality (VR) glasses which track users and feed real time information to the user via a VR display. As one would imagine, the revenue potential from a target advertisement perspective in a device like that is unheard of. If the day comes when people are seen wearing such VR devices on the streets, local business would certainly want to track customers and throw deals / coupons towards those who are walking their way. After all, real time tracking will allow target and location specific advertisements like the world has never seen. Tagtile is all about local businesses building better relationships with their customers and Facebook may very well be seeing a potential on this forefront. Whether or not that is the case, it is clear that Facebook is revving up its talent pool to cover niches where it still hasn’t seen the growth that it would like to. Mobile and local commerce are areas where Facebook can do much better and the acquisition of Instagram and Tagtile are Facebook’s first steps in catching up. But with NFC phones, FourSquare’s check-ins and the likes, we’ll have to wait and watch to see how effective Facebook is in convincing local businesses to use their Tagtile service. In comparison to its competitors, Facebook overwhelming user base remains its greatest competitive edge. 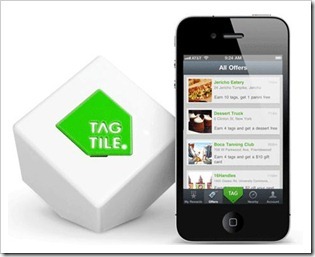 Will customers be tapping their phones for coupons against Tagtile Cubes in every store they enter? Should small app developers rejoice and expectantly wait to be acquired by Facebook in the near future? Or is Facebook simply trying to imitate and intimidate Google by expanding its footprint across different and versatile service platforms on the internet? Cross your fingers, we say! Clean Energy Economies: India ranks 6th!